For the first time in its 250 year history of one of Wales’s foremost great houses, Erddig, will open its doors to the public throughout February. The decision to keep the National Trust’s property, near Wrexham, open all year round has been made in response to the surge in popularity of the property. 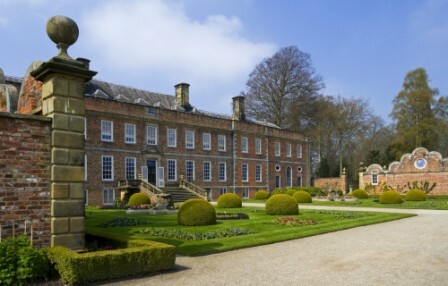 “So many people enjoy the property as a day out, venue for events and a local amenity that we took the decision to stay open all year, and offer them more to enjoy,” said Erddig’s Sue Jones. “It was always such a shame that in the past the public couldn’t enjoy the gardens at this time of year when the light is fantastic, and its structural quality at its most dramatic. All of the beautifully designed formal gardens, where the first signs of spring are starting to emerge, are open, in addition to the restaurant, shop and Erddig’s below stairs experience.